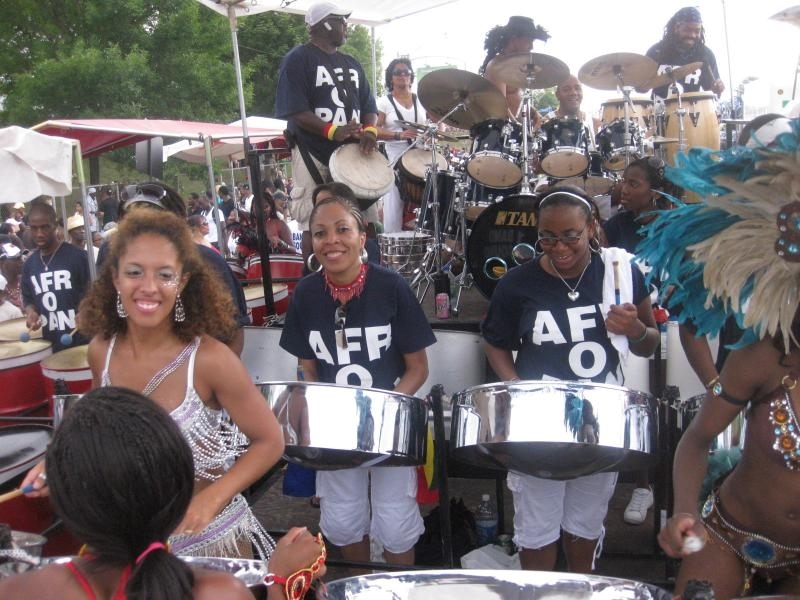 Afropan, Toronto’s longest-running steel orchestra, was founded in 1973. They have won the “Panorama”/Pan Alive competition more than two dozen times over the years. Currently under the leadership of Earl La Pierre, Jr., Afropan has mentored many young pannists and its player-membership includes a large number of female musicians. Today – Simcoe Day Holiday Monday – is the “last lap lime” for Toronto Caribbean Carnival 2013 – more commonly known as Caribana – after two weeks of special events that included a Junior Carnival, King and Queen Competition, Calypso Monarch Finals, The Grand Parade or “Jump Up” – plus Pan Alive. Pan Alive brings together, through the Ontario Steelpan Association, a dozen or more homegrown steel-pan orchestras from Toronto and elsewhere in Ontario. These perform original compositions or arrangements before pan aficionados and a table of judges. The 2013 winners were Pan Fantasy, under the leadership of Wendy Jones (with arranger Al “Allos” Foster), playing SuperBlue’s “Fantastic Friday”. Other competing orchestras at Pan Alive 2013 were: Afropan, Pan Masters, Golden Harps, Panatics, Salah Steelpan Academy, Silhouettes, Hamilton Youth Steel Orchestra, New Dimension, Canadian Caribbean Association of Halton, St.Jamestown Youth Centre, JK Vibrations and Metrotones. Our Guest Editor – Trinidadian poet, Andre Bagoo – here takes a look at poetry inspired by the steel-pan in the following selection he has put together for Zócalo Poets. STEEL-PAN is everywhere in the Caribbean, so much so that some people cannot help but define us by it. We’ve produced Nobel laureates in the arts, economics and sciences; great athletes; contributed so much all over the planet – yet ask the average foreigner about the Caribbean and chances are the first thing they will talk about is steel-pan. But the region has a complex relationship with pan. For us, pan music is not just fun. It is a ritual: an invocation of the pulse of history within our veins; a defiant assertion of individuality against larger global forces; an example of how one man’s trash can become treasure – a sublime subversion of power, economics and art. Trinidad and Tobago, inventor of the pan, prides itself in being the race that created what is said to be the only acoustic instrument invented in the 20th century. Yet, Trinidadian poets, and Caribbean poets generally, have a sophisticated relationship with the instrument. Its hard, silver and lyrical contours are not mere tourist ornament, but loaded symbol. Often, as in my poem ‘Carnival’ (http://www.bostonreview.net/bagoo-carnival), instead of being a symbol of pleasure, the pan becomes a hollow, opposite thing – creating an irony because of our pleasurable expectations. Roger Robinson’s ‘Texaco Oil Storage Tanks’ is ostensibly a poem about the materials used to make pans: oil barrels. But he finds the forces of history, power and economics inside them. While the oil storage tanks are large structures, the poem arguably evokes the images of smaller steel pans. Derek Walcott strikingly uses the image of the pan as a kind of psychogeographic tool in the opening of ‘Laventille’, whose first lines invite us to imagine that hill-top region as the arch of a pan. It’s also a device pregnant with meaning since Laventille is regarded as the birthplace of the instrument. 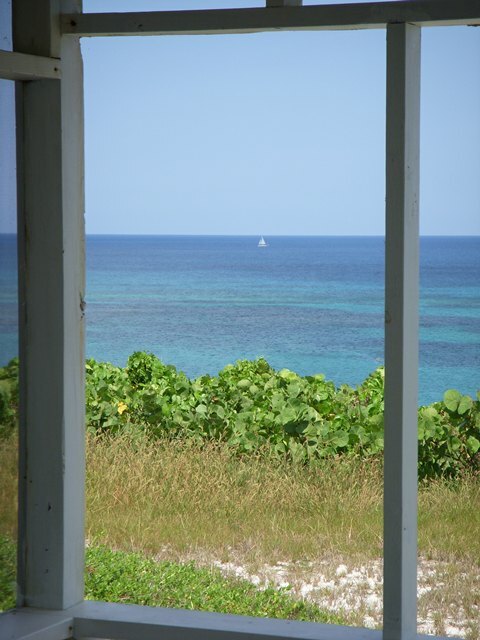 In Kamau Brathwaithe’s great poem ‘Calypso’, pan makes an overt appearance but is, in fact, really all over the poem: its rhythm, its materials, its colour. I’ve included David Blackman’s poem ‘Bassman’ because of how far it veers from our romantic associations with that figure. And Lelawattee Manoo-Rahming’s ‘Steelpan in Miami’ is the final, fitting irony: pan exported, becoming a kind of prison of nostalgia, only made possible by migration away from the Caribbean basin. your Cyclopean eye is a bright red star. for though we work here, we don’t belong. but it’s not worse than their child’s hunger pains. you came for the oil, and left with our blood. like peddlers’ tin trinkets in the sun. whose lived revolve round prison, graveyard, church. from here was to ascend. and the shoe black shiny skin? ’cause his Ma’s just had another daughter. who goin’ stop this bacchanalling? Who giving yuh room now? trying to get back on the map. Shadow bass man eh boss man nah. Carnival sickness is the bossman. in the belly? Who man tell me who? Roger Robinson’s ‘Texaco Oil Storage Tanks’ appears in his forthcoming collection, The Butterfly Hotel (Peepal Tree Press); the extract from Derek Walcott’s ‘Laventille’ is taken from his Collected Poems (Faber and Faber, 1986); Kamau Brathwaite’s ‘Calypso’ is a poem from his The Arrivants; David Jackman’s ‘Bassman’ is scooped out of 100 Poems from Trinidad and Tobago (Edited by Ian Dieffenthaller & Anson Gonzalez); and Lelawattee Manoo-Rahming’s ‘Steelpan in Miami’ appears in her collection Curry Flavour (Peepal Tree Press, 2000). Andre Bagoo is a poet and journalist, born in 1983, whose first book of poems, Trick Vessels, was published by Shearsman Books (UK) in 2012. His poetry has appeared in or is forthcoming at: Almost Island; Boston Review; Cincinnati Review; Caribbean Review of Books; Caribbean Writer; Draconian Switch; Exit Strata PRINT! Vol. 2; Landscapes Journal, St Petersburg Review, Word Riot and elsewhere. An e-chapbook, From the Undiscovered Country, a collaboration with the artist Luis Vasquez La Roche, was published at The Drunken Boat in 2013. How can we reopen the door? Coolieness: East Indian Indentured Labourers who were brought to the West Indies, and their descendents are sometimes called ‘coolie’, as an insult. In my poem, ‘Coolieness’ refers to the East Indian culture that still exists in Trinidad and Tobago. Puja (Bhojpuri Hindi): A personal, familial, or public Hindu prayer service or worship. Caroni: A river in Trinidad and Tobago. The river plains, called the Caroni Plains were once used for sugar cane farming. David Rudder: A calypsonian from Trinidad and Tobago. Zanda: Clive Alexander, aka Zanda, or Clive Zanda Alexander, is a jazz pianist from Trinidad and Tobago. Hadeed: Annise Hadeed is a steel pan soloist and composer from Trinidad and Tobago. The Mighty Shadow: A calypsonian from Trinidad and Tobago. phloem and xylem: The primary components of the vascular tissues in plants, which transport the fluid and nutrients throughout the plant. Sita: (Sanskrit: meaning “furrow”) is the wife of Lord Rama and one of the principal figures of the Ramayana, the epic Hindu scripture. As the devoted wife of Lord Rama, Sita is regarded as the most esteemed exemplar of womanly elegance and wifely virtue in Hinduism. Bhandhania: The Hindi name for the herb, used in cooking, otherwise known as wild coriander or culantro. Seim: The Hindi name for the Hyacinth bean, the green pods of which are used as a vegetable. Lelawattee Manoo-Rahming is an engineer, poet and fiction writer. She won the David Hough Literary Prize (2001) and the Canute A. Brodhurst Prize (2009) from The Caribbean Writer Literary Journal; and the Commonwealth Broadcasting Association 2001 Short Story Competition. She is the author of two poetry collections: Curry Flavour, published by Peepal Tree Press (2000) and Immortelle and Bhandaaraa Poems, published by Proverse Hong Kong (2011). for introducing us to the poetry of Lelawattee Manoo-Rahming.